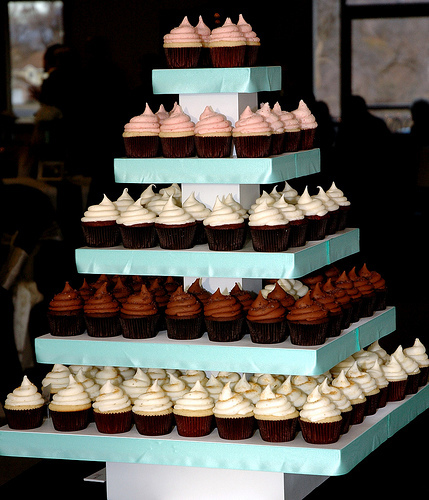 There’s something so whimsically childlike about unwrapping a cupcake and so elegant cutting into a tiered masterpiece. This is why it is so hard to decide between the two. If you’re having a formal wedding, you may choose a grand and elegant wedding cake. 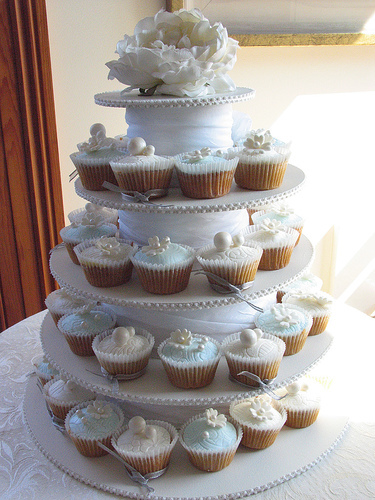 Wedding cakes are best for a formal sit down dinner, where the cake will be plated and served. With overall design possibilities, wedding cakes have more beautiful options to choose from and adds a grand element to your decor. 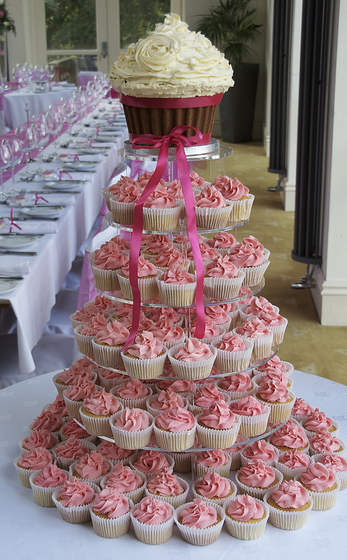 If your wedding guests are traditional people, they might think cupcakes are too casual, or even worse, cheap. But if you’re having a simple relaxed reception where fun is the primary goal, tell everyone to be a kid again and grab a cupcake. If your dinner is buffet, heur dourves style or just a celebration with cocktails in hand, then cupcakes are a practical choice. Once everyone is busting a move on the dance floor, they won’t have to sit again for dessert. They’ll just grab a cupcake and dance the night away. If after all this you still can’t decide between the cuteness of a cupcake and tradition of a wedding cake, just have both. Cupcakes are a great addition to dessert and candy buffets, while the wedding cake will be a staple in your receptions decor.